The Blackville Talon: 10 Top Movies to Watch Over Thanksgiving Weekend! 10. 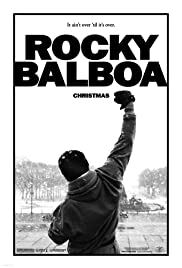 Rocky - If you're looking for a comical, dramatic movie to sit with the family and watch, Rocky is the best choice! Rocky Balboa is a struggling boxer trying to make it to the big time and while watching this you and your family will too experience and share the struggles and success that Rocky has! 9. Home For The Holidays - This movie is great for the family to watch together, considering its humour and drama. Plus, this movie reflects many other dramatic and comically dysfunctional families! 8. The Blind Side - This movie tells of an emotional and inspiring life of a foster child. It reveals what being kind and thankful for what you have is extremely rewarding, which is perfect for Thanksgiving! 7. Holidays - This is an unusual holiday movie because it falls within the horror and comedy genre. The movie features comedic horror stories that revolve around all of the holidays, not just Thanksgiving. If your family likes horror movies that aren't too scary then this is a great choice! 6. Pieces of April - Unlike many of these movies, Pieces of April shows that not all Thanksgivings are joyous, and family will always matter whether you want it to or not. This movie is good to watch with the family because it explores the reality of dealing with relationships. 5. The Incredibles - In this action packed movie, the main focus is family which is definitely appropriate for thanksgiving. 4. Jack and Jill - This movie is great for the family because of its humour and family related setting. It proves that mostly all siblings do not get along most of the time, but they always come together in the end. your family! The movie tells of an out of place girl who returns home from college for Thanksgiving and happens to fall for somebody who is the complete opposite of herself. 2. 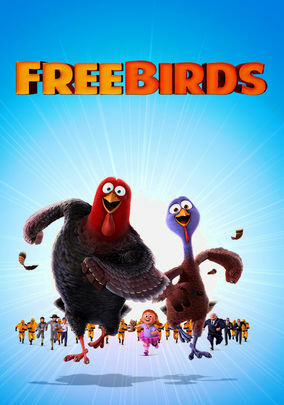 Free Birds - If you have younger siblings or children then this movie is a great choice for you. The comical movie tells the tale of a determined turkey that tries to prove everybody wrong, and succeeds. 1. A Charlie Brown Thanksgiving - You can never go wrong with Charlie Brown, especially when it's for a family event!